The purpose of this 30 days training is to help IT professionals quickly understand architecture and various components of OpenStack framework. The trainer will elaborate concept, schema and codes regarding every project. 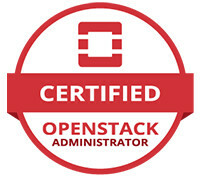 Further more, the instructor will work you through in details on how to design, build, administrate and operate OpenStack Cloud. After the training, participants should have suitable capability to design, implement and maintain OpenStack environment from community.